Spring is here, summer is just around the corner and I wanted to share two destinations that are captivating throughout the year. Both are terrific destinations for corporate meetings and incentives and I’d love to talk with you about them for your next event. Ever since Canada’s first National Park was created in 1885, Banff has been a destination for well-heeled visitors from around the world. It is a blend of opulence and adventure and, today, a popular spot for corporate gatherings. Beyond its awe-inspiring natural beauty, Banff offers accommodations and meeting space for groups from 20 to 2,000. From the stately UNESCO World Heritage Site Fairmont Banff Springs with 768 guest rooms and 76,000 feet of meeting space to the hip Banff Aspen boutique inn there is something for every group. Winter activities aplenty: downhill and cross country skiing, snowshoeing, dog sledding, snowmobiling, horse-drawn sleigh rides, ice skating, hockey, heli-skiing and more! Summer activities galore: heli-hiking, biking, fly fishing, rock climbing, horseback riding, whitewater rafting and float trips, golf, ATV tours and more! A breathtaking 90-minute transfer from Calgary International Airport which has flights from a dozen U. S. cities. Terrific adventures and experiences: “only-in-Banff” snow coach rides on the Columbia Icefield, cooking classes, watercolor painting, historic sites and museums, photography and great team building group activities. Over 125 restaurants, bars, lounges and cafes with happenin’ nightlife! Great off-site venues for group events such as Brewster’s Dance Barn, the Lake Louise Train Station and Wild Bill’s Legendary Saloon. Friendly, knowledgeable and professional Canadians who welcome groups and stand ready to share the Banff experience. I recently had the opportunity to explore this natural beauty that’s nestled in the historic Park City area of Utah with its world-class skiing, diversity of summer opportunities for fun, top-notch accommodations and dining as well as everything that is needed to make an event a grand success. 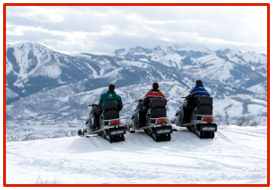 Deer Valley is known for their incredible winter sports so let’s talk if you have a program with a group looking for thrills on the slopes, on the trails, behind a team of sled dogs or atop a snow mobile! And, if your program will be happening during warmer seasons, Deer Valley summers are spectacular and perfect for all groups! There is great availability for 2014 and beyond. Why Deer Valley? Winter’s awesome activities: downhill skiing and snowboarding, cross country skiing, snowmobiling, dog sledding, snow shoeing and much more! Summer’s spectacular activities:rafting, kayaking, hot air ballooning, geo caching adventures, ATV excursions, mountain biking, hiking, fly fishing, horseback riding, outdoor concerts and much more! A scenic 45-minute drive from Salt Lake City Airport which is serviced by most major airlines. It’s rated the most accessible year-round mountain meeting destination in North America. A plethora of conference and lodging facilities…everything from the Old World French elegance of The Chateaux with 125 sleeping rooms and 8,300+ square feet of meeting space to unique “day lodge” facilities that lend a unique, mountain touch to meetings large and small. Terrific shoulder season value meeting package accommodations starting at just $99.00 plus special pricing for meeting food and beverage. People who know the area, know hospitality and love what they do!